Ari hires Eddie, his private investigator, to gather dirt on a school’s headmaster after his son is denied admission in season four. 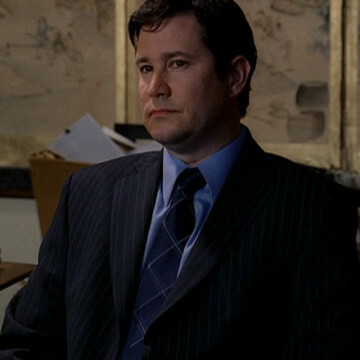 When Ari is summoned to Eddie’s office in the season’s seventh episode, he is introduced to Frank (played by William Ragsdale), another investigator who has been hired to trail the same subject. Frank informs Ari that weeks of following the target have only led him to believe that the man is an upstanding individual.